3 volume set. H ardcover. 37 cm. Good binding and cover. A few smudges on cover, light rubbing. Clean, unmarked pages. The Plan is in the library of the former monastery of St. Gall (Stiftsbibliothek, Ms. 1092). Vol. I: xxviii, 356 pp., illus. + 1 folding plate; Vol. II: xii, 359 pp., illus. ; Vol. III: xxxii, 267 pp. 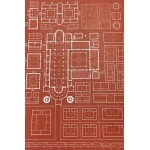 The Plan of St. Gall is an architectural drawing of a monastry from the early 9th century. It is the only archictural drawing from the period between the fall of the Roman Empire and the 13th century, and as a result is of extraordinary significance to the study of medieval Europe. 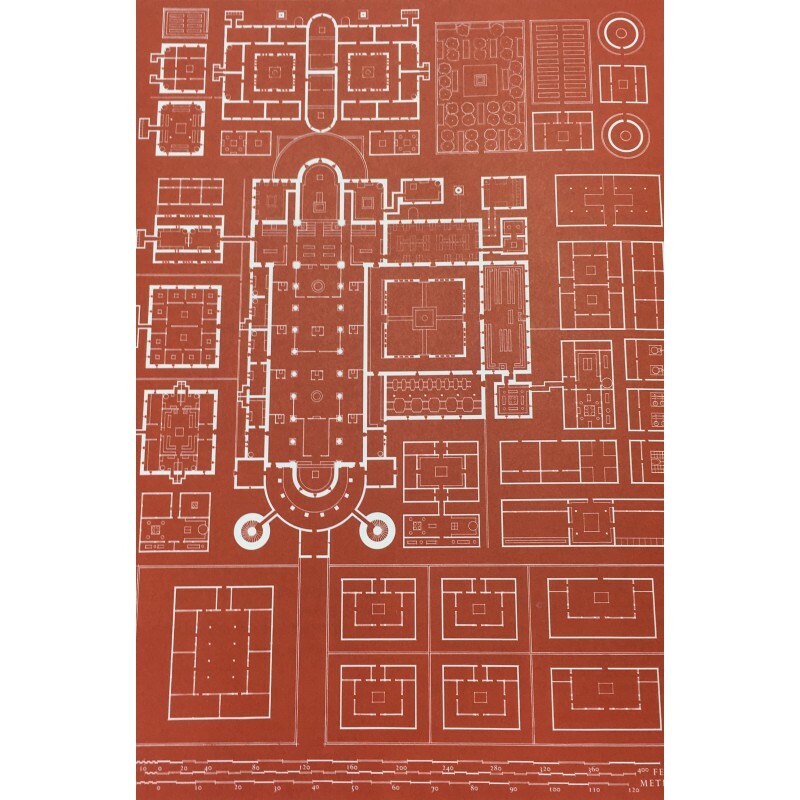 The Plan itself depicts a model Benedictine monastic compound. This work by Walter Horn and Ernest Born describes the Plan in depth and provides historical analysis and is illustrated heavily with images and drawings. In popular media, the Plan was referenced in Umberto Eco's Name of the Rose. St. Galler Klosterplan. Subjects: Kloster St. Gallen. Monastic and religious life -- Switzerland -- Saint Gall -- History -- Middle Ages, 600-1500. Architecture, Carolingian.